There can be few blooms that are as striking as the famous sunflower, with its rich dark face and golden mane of petals. In this gorgeous arrangement that sings of summer, we have decided to let this one flower take centre stage. Popping with radiant yellow that will bring a smile to any face, this captivating yet simple display needs little adornment. 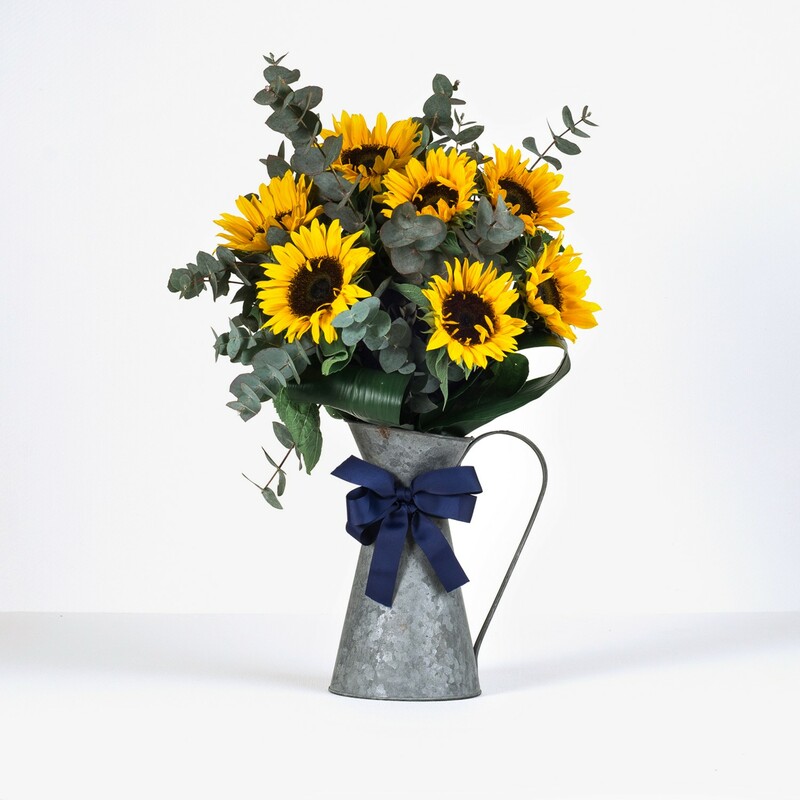 We have collected the vibrant sunflowers and fresh green foliage in a rustic metal jug that has a typically country-cottage feel, and is perfect for evoking a bright sunny day in any situation.